Welcome to The Rundown, our daily breakdown on comic news stories we missed from the previous day. Have a link to share? 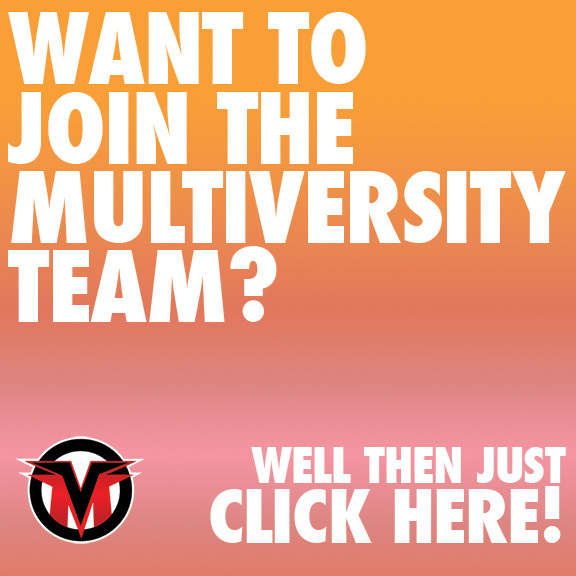 Email our team at rundown@multiversitycomics.com. – The Beat shared a look at the first of DC’s new art-focused variant covers, which use minimal styling to show off as much art as possible. Follow this link to get a full look at Jim Lee’s variant for “Batman” #45 and John Romita Jr.’s variant for “Nightwing” #44, both of which use the new trade dress. – Artist Joe Eisma (“Faith,” “Morning Glories”) will be joining writer Eliot Rahal on Valiant’s “Quantum and Woody!” come July, as that book starts an all-new arc. Comic Book Resources has the full details. – The Hollywood Reporter has word that Netflix’s Jessica Jones will return for a third season on the streaming service (and won’t be moving to Disney’s own upcoming streaming service). No details yet on season three’s release date. – IndieWire reports that Charlize Theron and co. are currently working on a sequel to Atomic Blonde (the movie based on Oni Press’s “The Coldest City”). Theron talked about Atomic Blonde and much more at the San Francisco International Film Festival. – Avengers: Infinity War has teamed up with My Hero Academia to produce a “special hero collaboration” tying the two popular franchises together. You can view the official poster and videos mashing up the two franchises here and read a few more details at ComicBook.com. – Poynter has the story of a Cincinnati television station that employs a full-time “comics journalist” to illustrate stories that are too serious or difficult to capture using videos or photographs. The cartoonist, Kevin Necessary, explains his job by saying, “It is just like any other form of journalism – you go out and report and tell a story and do it in comic book form.” Necessary and the station have also produced a children’s book telling the story of a hippo that lives at the Cincinnati Zoo. – DC unveiled a ‘Save the Date’ for Batman and Catwoman’s wedding, inviting one and all to their local comic store for July 4’s Bat-Cat nuptials. You can see the full design over at Newsarama. – Dark Horse announced that they’re bringing a comics adaptation of teenage murder mystery Danganronpa‘s sequel to the United States. Titled “Danganronpa 2: Ultimate Luck and Hope and Despair,” the book will be largely based on the video game Danganronpa 2: Goodbye Despair. The new adaptation goes on sale Sept. 5. – Aquaman director James Wan shared via Twitter that actor Randall Park (Fresh Off the Boat, The Interview) has joined the movie as supporting character Dr. Shin.